Snow may be the first thing that comes to mind when you think of Colorado in the winter or spring. But there's much more to do here than winter sports. 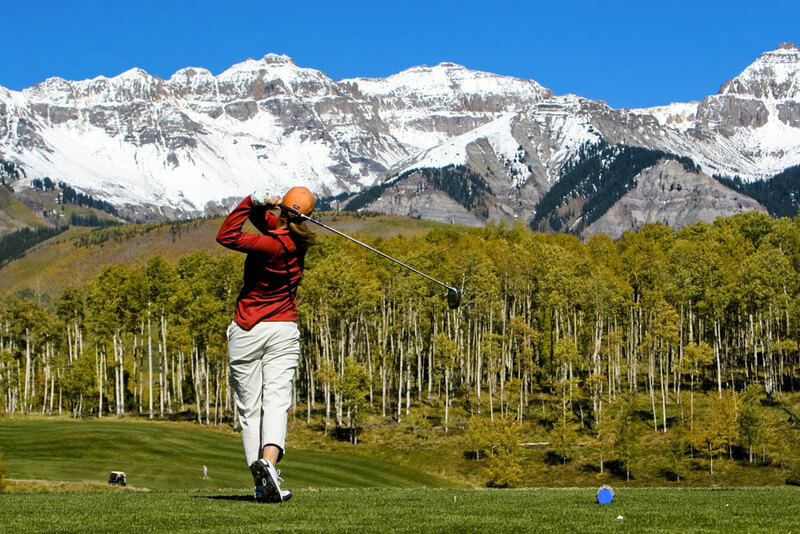 In fact, several of the best golf courses in Colorado are open year-round, and others stay open from late-winter through fall, making wintertime golf a welcome surprise. One of the top 100 resort courses in the country, the 18-hole, par 70 Inverness Golf Course, located south of the Denver Tech Center in Englewood, is open 362 days a year, with occasional pauses for weather. This rolling 6,890-yard course offers sleek greens and sloping fairways, with water challenging 11 of the 18 holes. West of the city, Arrowhead Golf Club in Littleton is truly a panoramic paradise. Huge red rocks pierce the sky as they emerge from pristine greens, and white-tailed deer often wander in for a curious look. Arrowhead is quite hilly and the greens are deceptively fast. Open March through November. Fox Hollow nestled in the foothills just west of Denver in Lakewood offers something for golfers of all abilities on its three distinctively different nines: The 445-yard, par 4 Canyon; The Meadow, filled with water hazards and ancient cottonwood trees; and the Scottish-style Links. It's also one of the first courses in the country designed to be completely handicap-accessible. Former home to the Colorado Open, Saddle Rock Golf Course in Aurora appeals to every level of golfer with its long, high plains, links-style course. While you'll be challenged by the diversity of every hole, the spectacular view helps make your entire golf experience memorable. Open year-round, subject to weather conditions. The Patty Jewett Golf Course boasts the first set of links west of the Mississippi and is lined with 100-year-old pines and oak trees. Imagine teeing off with a clear view of monstrous Pikes Peak. You'll be amazed at how your ball soars even farther in this altitude. At the Broadmoor Golf Courses, golf can be played all year long with occasional interruptions for snow during the winter. Three courses, each more challenging than the next, are artistically created to give even the most seasoned player a run for his or her money. There are very few places that offer a more beautiful spot to put your swing to the test. Be captivated by the beautiful views of the Colorado National Monument and the lakes on the Grand Mesa as you spend a day golfing in Grand Junction. Surrounded by pink and red sandstone, The Golf Club at Redlands Mesa offers views that have a reputation for overwhelming the senses. The 18-hole championship course was designed by Jim Engh, Golf Digest's Architect of the Year in 2003. The Tiara Rado Golf Course is a par 71, public course, located at the base of the Colorado National Monument. But don't let the breathtaking views distract you from the water hazards on six holes throughout the course. Accommodating golfers of all levels, the course is open year-round, weather permitting.